Anyone familiar with the Civil War collections here at the Virginia Museum of History & Culture (Virginia Historical Society) has most likely heard of Robert Knox Sneden. 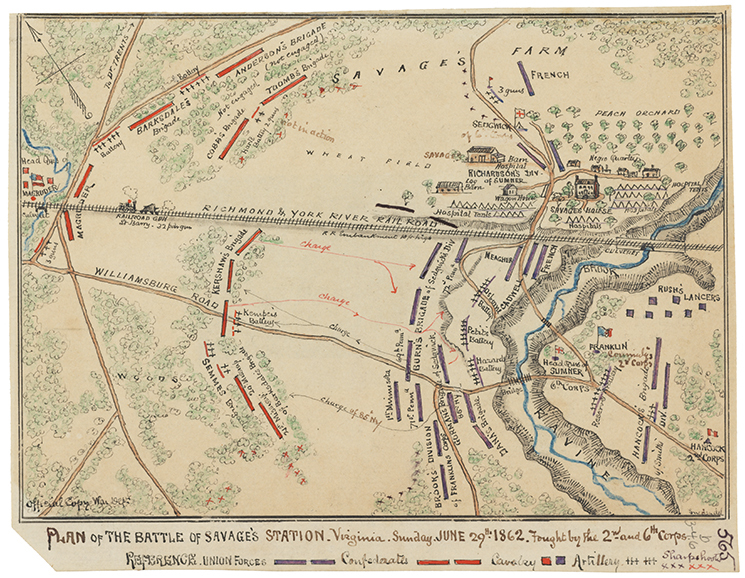 For those who don’t know about him, Sneden was a soldier-artist and mapmaker for the Union army during the war. His maps were valuable to his commanding officers, as they are to us today, as records that illuminated the progress of the Civil War. Sneden produced more than 900 watercolors and maps, along with a text of some 5,000 pages. The museum published much of that text and many of those watercolors and maps in two publications, Eye of the Storm: A Civil War Odyssey (2000) and Images from the Storm: 300 Civil War Images by the Author of Eye of the Storm (2001). One of the nagging questions that remained ever since the collection came to the museum was how did Sneden manage to make after the war the literally hundreds of watercolor images of events and places that he had witnessed in the field? He claimed that he based most of them on sketches and maps executed during the war. He must have had some way to carry with him the numerous small sketches that he later developed into more detailed and more finished works. That question was partially answered in the fall of 2017 by the discovery of Private Sneden’s wartime courier dispatch case. In it, he could preserve not only the official messages and papers that occupied his time as assistant regimental and brigade quartermaster but also any of the sketches and maps he drew. The jappaned tin case measures 6.75 inches in length, 4.5 inches in width, and 1 inch in depth. On a shield-shaped label on the outside of the case is the following text: “R. K. Sneden, 40th Regt, New York Vols.” More interesting, inside the removable lid, Sneden left specific instructions for anyone who might find the case. One a paper label he wrote, “$10.00 will be paid by Capt. Chauncey McKeever. A.A.G. to Maj. Gen. S[amuel] P. Heintzelman. Headquarters 3rd Army Corps. A[rmy of the] P[otomac] to the person who may find this case of papers on the person or elsewhere if I should be found killed.” Precisely when Sneden started using the case is unknown, but it had to have been sometime before Captain McKeever earned a promotion to major on July 17, 1862. 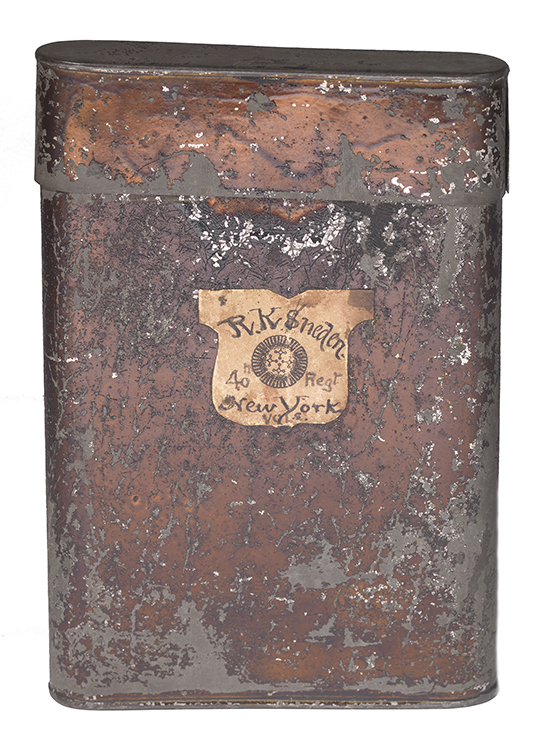 When the dispatch case came up for auction in November of 2017, the museum was thrilled at the chance to acquire this unique treasure. Only through funds generously provided by Bruce and Nancy Gottwald in honor of E. Lee Shepard’s forty-two years of service at the Virginia Historical Society was the Virginia Museum of History & Culture able to purchase the case and thereby enhance the incomparable Sneden collection.